Welcome to Thermal Real Estate where you can access all Thermal homes listed on the local MLS. Below is a sample of available properties and you can find many more by following the City of Thermal real estate link at the top of the page. If you have any questions or would like to setup a private showing, please contact us online or you can give us a call at 760-285-3578. 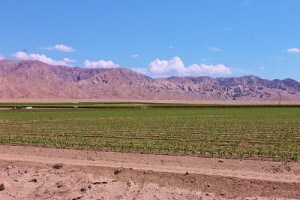 The rural desert city of Thermal encompasses the sweeping desert lands of the southeastern side of the Coachella Valley. As it’s name would indicate, the city of Thermal is one of the hottest spots in the country, as it’s 118 feet below sea level. Thermal has experienced a recent wave of residential and recreational development due to it’s large expanses of Agricultural Lands and Open areas. Thermal plays home to some world class facilities that easily put it on the map. The 230 acre HITS Desert Horse Park, built in 2007, attracts horse lovers from far and wide. It is one of the largest hunter/jumper horse show venues in the United States, with competitions from January to March annually. The Desert Circuit horse show has been a mainstay of West Coast competition for 20 years and is attended annually by more than 3,000 horses, 10,500 horsemen and 25,000 spectators. The Jacqueline Cochran Regional Airport in Thermal, just down the street from the HITS show grounds, is a choice destination for business and private aviation within the Coachella Valley, Riverside County and the entire Southern California Region. Its 8,500 foot main runway is capable of accepting any class of corporate jet, from smaller models to Boeing 767’s. With clear airspace and fabulous year round weather conditions, Thermal is the ideal location for an airport. One of the newest additions in Thermal, CA. is The Thermal Motorsports Track and Club, destined to become North America’s premier luxury racing Club. Thermal is an invitation only Member’s club that will bring together the rich traditions of California motorsports and first-class racing amenities. In 2015, The club partnered with BMW to expand it’s presence in the Valley. The track will be the testing grounds for new BMW cars, and also offers driving lessons to the public. For education, there are several public schools in the Coachella Valley Unified School District That are in or near Thermal, offering classes K-12. Several private schools are located nearby in Indio and Bermuda Dunes. Higher education opportunities include College of the Desert and its new East Valley Campus which opened in 2002 in Indio. The combined campuses of CA State University-San Bernadino and University of CA-Riverside are nearby as well. The new High School in Thermal began it’s classes a couple years ago and is thriving. The Eastern city of Thermal is a thriving Agricultural hot spot, and is blooming into another unique, and very distinct, Desert Destination. 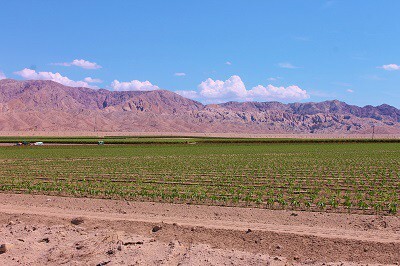 Here’s an example of one of the working farms in Thermal, California..